A new restaurant and bar has taken over the storefront at 1914 N. Monroe, where Webster's Ranch House Saloon was last. Open since November the new establishment is locally owned and operated by Chef John Leonetti and his wife. Prohibition Gastropub offers a full bar with a good sized selection of whiskey, scotch and bourbon in addition to beer and wine. But, it's not just drinks at the new restaurant , as they also have a full food menu. The food menu at Prohibition Gastropub is not huge, but it is filled with unique items. Appetizers, sandwiches , a couple of burgers , a few entrees and of course dessert can all be found on the menu. And bacon is big at this new restaurant with many menu items including a house made candy coated bacon. The new restaurant is gathering much praise from the locals who have already found this new place with a current 4.9 star rating on Facebook. They are open 11-11 on Monday, Wed- Saturday and 11-10 on Sunday. Atilano's Mexican Food, a local chain of fast service Mexican food restaurants continues to grow and add Spokane area locations. The latest of which opened for business just before Christmas, just down the road from Northern Quest Resort & Casino in Airway Heights. 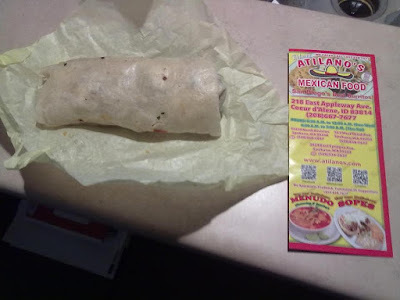 With this new location, Atilano's now operates six locations, three in Spokane, one in Spokane Valley, one in Coeur d' Alene and now this one in Airway Heights. 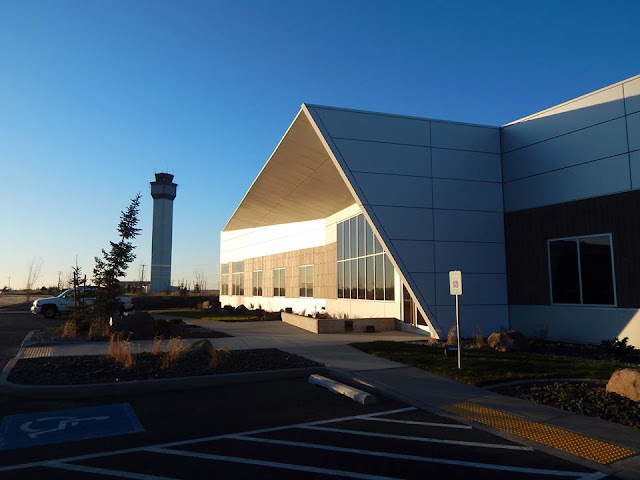 BECU ( Boeing Employees Credit Union ) has been in the Spokane market for over a decade. But, only with a 100 +/- employee call center in Spokane Valley. But, all that is changing as BECU has announced they plan to expand the credit union's retail banking operations to the Inland Northwest. 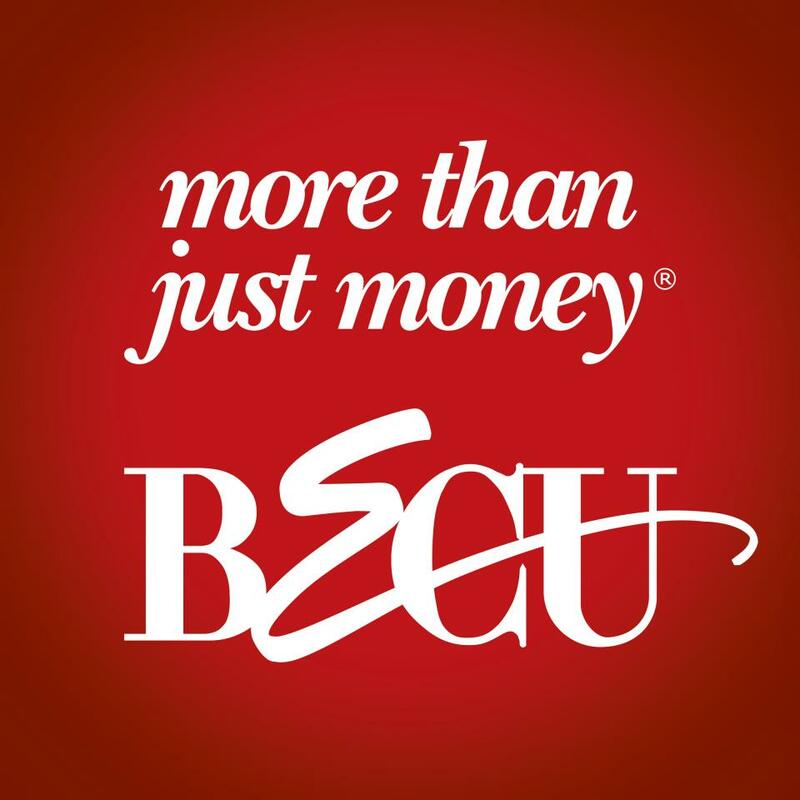 BECU, a not for profit credit union, says they will open some new Spokane area branches as early as 2016. The locations will be in Spokane and Spokane Valley, but they decline to give exact location addresses as they are still in negations for the properties. The credit union already has over 4,000 members in the Spokane area, with hopes to grow that number. BECU is the largest credit union in Washington State and membership is open to all residents of Washington. Members are the owners at BECU and the credit unions profits are returned to those members in the form of fewer fees and better loan rates. In all BECU operates 40 branches currently and offers online banking , ATM's and more. Cobra BEC Inc. aka Cobra Building Envelope Contractors is a Spokane based business that does everything from full construction contractor services to roof repairs,continues to grow. The company now has over 30 years of operation and work sites all around the Northwest, and now to go along with all that success is a new corporate HQ building on the West Plains, just a stones throw away from Spokane International Airport. The new building is a 11,500 square foot commercial building, that not only provides space for all of Cobra's staff, but also highlights some of their own building materials that they export. The new location , nicknamed the Cobra Campus,is now open for business. Located within the Freeway West Commercial Park at 4414 N. Dowdy Rd. just down the road from the airport's control tower. Cobra Building Envelope Contractors acted as their own contractor on the new building project with all architecture design work also done locally by Uptic Studios. It seems like Starbucks Coffee is always either opening a new location in the Inland Northwest or working on a remodel of one of their existing local stores. While Starbucks is far from a locally owned and operated business, that I usually try to make this blog all about, there is something to be said about how much they invest here. Starbucks has had a location in the Ironwood Square Shopping Center in Coeur d' Alene for sometime. But, the location was in a leased in line shopping center space, with no drive through and perhaps not enough seating to serve the healthcare and office centered neighborhood. Starbucks response is to move from the existing store ( 212 W. Ironwood ) to the former Schlotzsky's Deli building , which was abandoned when Schlotzsky's closed last Winter. The new location is a stand alone building with an a drive though lane already attached. The building will be remodeled fully with construction crews already hard at work. 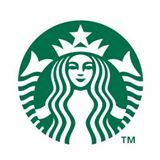 The move by Starbucks will be major with the chain going from roughly 1,400 square feet of space up to 2,157 square feet. It is estimated to be open sometime in Spring. Starbucks is also planning a full remodel of their partner location located inside the Coeur d' Alene Target store at 315 W. Canfield. This location had been small and shared space with a Target Café , a snack bar type establishment. The plan is for the Target Café to be removed for all of the square footage to be used by Starbucks. It will likely include more seating area, more work areas for Starbucks. And, the menu of the new Starbucks will change as this location will also now include sandwiches and more display areas. This location will close for a time, after the first of the year with the new Starbucks estimated to be open by around Valentine's Day. It's now official, the Kalispel Tribe of Indians, has acquired the Spokane Country Club and plan to revamp parts of it, and even open some tee times to public. The Spokane Country Club, located in Northwest Spokane at 2010 W. Waikiki Rd was forced into a sale after a major discrimination law suit hit their small membership base hard recently. The new Kalispel Golf and Country Club will operate as a branch of the Tribe's Northern Quest Resort & Casino . Many tee times will remain only open to those with club memberships, with new memberships up for sale. But, some tee times each day will be open to the public with a $115 greens fee . The Tribe plans to do some updates and remodeling to the Country Club, most notably will be a complete remodel of the Club's on site restaurant. The restaurant will re-open after the work as a new yet to be named gastropub style bar and restaurant . The Kalispel Tribe of Indians paid a little over $ 3 million to acquire the former Spokane Country Club. They now have Les Blakely , a PGA pro , in as the new director golf operations . For more information on the club, and membership there, visit http://ktea.com/golf . A http://kalispelgolf.com web site is also coming soon . One of the last remaining storefronts in the newly renovated former Dutch's Pawn / Huppin's building Downtown is now full with an exciting new business. 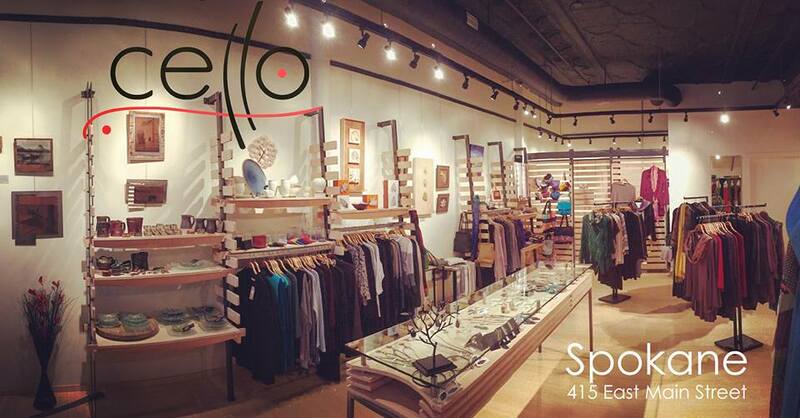 That business is called Cello and is a women's clothing boutique / art business featuring local and independent artists. Cello can be found at 415 E. Main , next door to the new location of Wollnick's , making the 400 block of E. Main and even cooler up and coming shopping district. The Spokane location is Cello's second location, with another larger store / gallery still open for business in Bozeman,MT. In fact, some items sold in the Bozeman store can be shipped for customers to the new Spokane location. The new Spokane store is the perfect place for gift buying or just to browse any time of the year with clothing, art, pottery , jewelry and more . Described just as " Kendall Yards Bluff Building " is a new purposed building to built in the heart of Kendall Yards. The plan calls for the new commercial building to be built facing W. Summit Pkwy, on the vacant lot in-between Spa Paradiso and Nectar Beer & Wine. This last week Kendall Yards developers met for a " pre development conference " with the City . Meaning the design is likely not yet set in stone, and likely no tenants have been guaranteed for the new building. But if built as is the building will feature two or three new storefronts on Summit and a exciting new feature on the back half. The Bluff Building's plans show a large new patio and balcony overlooking the Spokane River gorge, promising an amazing view of the River, the Monroe St. Bridge and Downtown. The Patio, which also backs up to the Centennial Trail , is shown being used for seating for another highlight of the new building, a food court. In the current plan the back side of the building will be a small market style food court, likely with small local vendors, maybe some local farms even. We will keep watching for more as we do expect this building to come to reality in the near future. Many other projects as also in the works for the same area, which we also continue to watch. Most know Chef Jeremy Hansen as the chef / owner of Sante Restaurant & Charcuterie in Downtown Spokane's Liberty Building. Sante has become a true hot spot in the growing local culinary scene, and Hansen's other establishment, Common Crumb Artisan Bakery has built up a positive reputation as well. But, now Chef Hansen is expanding his culinary empire with an exciting new restaurant in the historic Washington Cracker Building on W. Pacific, still in Downtown Spokane. This new business will be called Inland Pacific Kitchen and is currently expected to be open in the Spring or Summer of 2016. Inland Pacific Kitchen will actually be a three part space, with the main space being the actual " Inland Pacific Kitchen " . This will be a main dining room with a small full bar attached. The menu to be served here will be two sided , both a la carte and a tasting menu. Menus will likely change and are to be story driven. Only 40 dinners will be served here each night with reservations advised . Another space planned for the site will be a " full underground industry driven tavern ". This place has not yet been named . It will be geared directly towards those in the restaurant industry and will offer beer at a very cheep price and a limited selection of bar foods. The basement space that remains at Inland Pacific Kitchen's site will be used as a full kitchen to provide food to the industry driven bar, lunch service in the main dining room and for full service catering. Catering from this kitchen can be available for groups up to 300 with a large, customizable menu. And, with all of this both Sante Restaurant & Charcuterie and Common Crumb Artisan Bakery will remain open for business. Keep watching for an opening date and more menu information as we get it. In case you haven't heard , Spokane based microbrewery, Iron Goat Brewing Co. recently announced plans to move to a new location in Downtown Spokane. Iron Goat Brewing will relocate to a former automotive shop at 1302 W. Second from their current home at 2204 E. Mallon. Still no news however on a opening date for the new Iron Goat Brewing location. However, the news of another brewery coming to the Downtown area is great, and it's a huge plus that they're renovating a historic building. Poole's Public House, a British pub and restaurant that's locally owned and operated with a single location in the Wandermere area is growing. The restaurant, which is owned Scott & Lisa Poole has made plans to open a new second location on the South Hill. The new South Hill Poole's Public House is currently in the remodeling / permitting process, after leasing the former Rio Grill Brazilian Steak House space at 5620 S. Regal . The new second location is currently scheduled to open around the middle of January. The new South Hill Poole's Public House will have the same food menu and full bar with drink specials. The food menu at Poole's has sandwiches, " upfront pub foods" , steaks and some entrees. Many of the menu items are British inspired like bangers n' mash and bubble & squeak . Appetizers, desserts and a kids menu are also available. 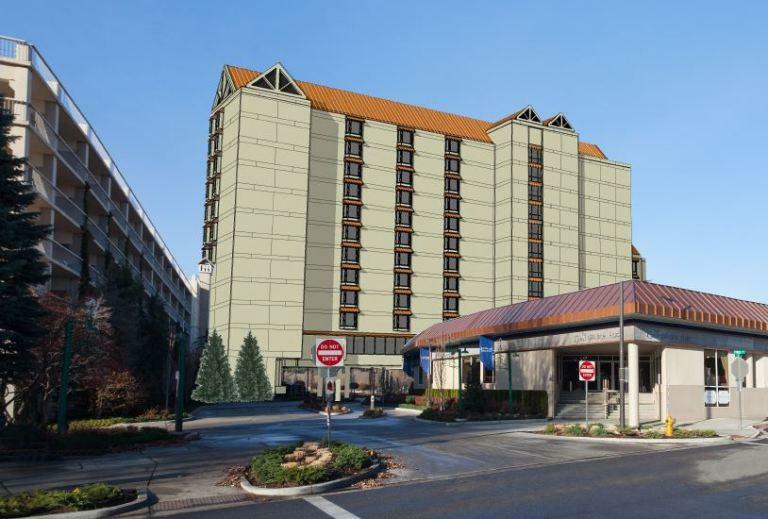 Plans are moving forward with the recently announced second hotel tower for the Coeur d' Alene Resort. The new second tower is tentatively scheduled to open sometime in 2017. The new tower will be connected to the main resort and will rise over top of the Coeur d' Alene Resort's Plaza Shops enclosed shopping center. Some design changes may still happen, but plans are now actively moving forward. It will be used for additional hotel rooms and suites. The addition of the rooms will also be used as catalyst to attract new groups and conventions to come to Coeur d' Alene. Clover, a popular Logan Neighborhood restaurant and bar has operated their own small bakery in a secondary building on their property since opening the business a few years ago. The bakery's items have become a favorite of many, while not actually open to the public, except via the restaurant and wholesale account locations. But, now the wholesale sales have caused Clover to move forward with plans to branch off the bakery into a new separate business, with locations open to the public coming soon. 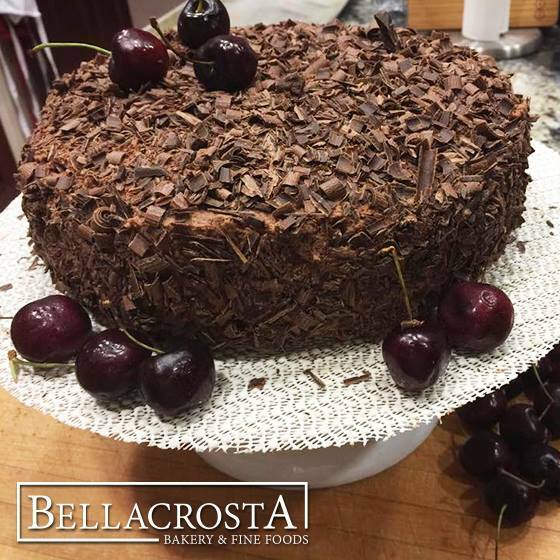 The bakery will be renamed Bellacrosta Bakery & Fine Foods and will be based out of a commercial kitchen space in Spokane Valley. The 3,000 square foot space is reportedly already being remodeled for Bellacrosta, but we have not obtained to exact location in the Valley as of writing this post. And, as mentioned before plans are for Bellacrosta Bakery & Fine Foods to have multiple retail storefronts open in the Spokane area. The new HQ kitchen space is to open early next year, with 2 or 3 storefronts also likely opening in 2016. No set in stone locations are set yet for Bellacrosta's storefronts. Although plans are for bakery storefronts in Downtown Spokane, Spokane Valley, South Hill and North Spokane. 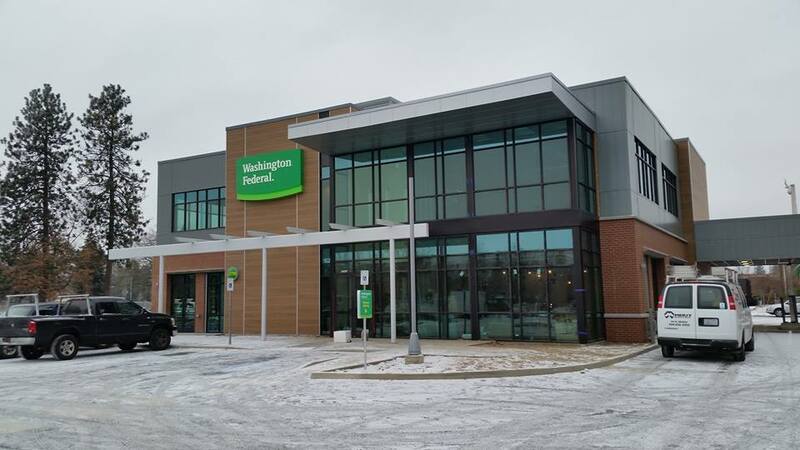 One of the larger building construction projects in the Division St. corridor, the new branch / regional headquarters for Washington Federal Bank is almost complete. The new two story building, which is next to Thai Bamboo at 5322 N. Division. The primary tenant of the new building is Washington Federal Bank, a Seattle based financial institution who only came to Spokane last year. The bank operated an temporary branch a block south of Northtown Mall, not far from this building. That branch will close and be consolidated in with the new building's branch. Washington Federal also operates several small town branch locations in our area after purchasing a collection of Bank of America branches not long ago. Space will also be available for lease in the 17,000 square foot building. Leasing of the other office spaces is being done by Spokane's Kiemle & Hagood Company. Included in the still available office suites is two 2,000 + square foot spaces on the lower level and ground floor, and a larger almost 5,000 square foot space on the second floor. Signage and ample on site free parking is also made available to all new tenants of the new building. MacKenzie River Pizza has closed down their Downtown location after 2 years of operation at 818 W. Riverside Ave. The closure is likely because this location never really attracted enough customers. In fact it was opened after the chain had a location of Ciao Mambo Italian in the same location. A group of local restaurant owners have scrapped plans to open a new restaurant called Knife Burger Bar in Downtown Spokane. The plan suffered several delays due to issue with their plans vs. the historic building, which is also the reason for walking away. Knife Burger Bar was originally planned to be in the former Agave Latin Bistro space in the Michael Building at the corner of Sprague & Lincoln. The space will now likely go back up for lease, along with a smaller storefront in the same building which was once rumored to be developed into a new coffee shop. 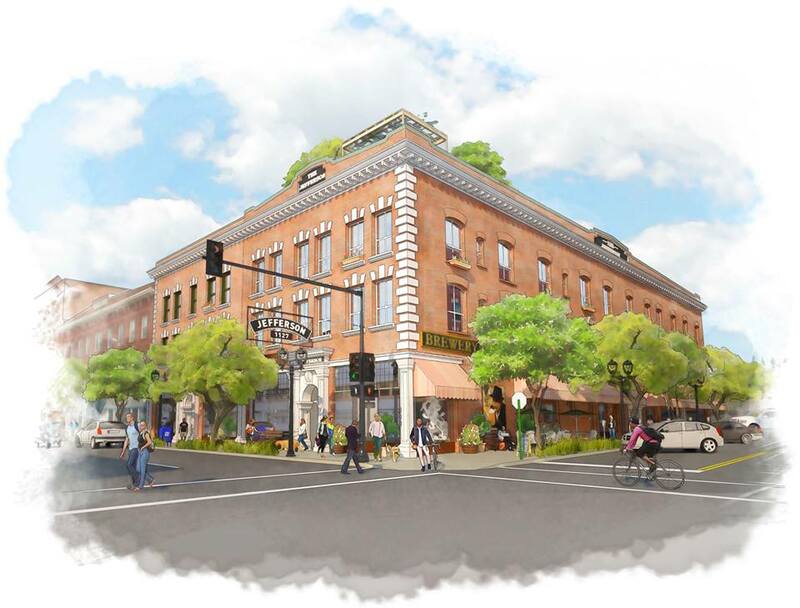 It was only about 5 months ago, I reported on the sale of Downtown Spokane's Norman Building ( 1121 W. 1st Ave ) and the Jefferson Building ( 115 S. Jefferson ) . At the time of the sale we knew the new owners, Yellow Door Properties,LLC planned renovations but had little information about the work. But, now we are learning the buildings will be developed together into mixed use development called West End Lofts. Some construction has already begun on the West End Lofts project, which promises to being historic high end loft residences to the upper floor of the buildings, and new commercial space, suitable for retail or restaurants on the ground floor. About 10,000 square feet of commercial space will be offered, and at the time of the building's sale it was said Spokane Boxing Gym would lease some of the space for a new gym there. The lofts at West End Lofts will be fully customizable spaces, 8 in all, and all about 3,000 square feet each. The spaces will be shells allowing the person purchasing the loft to put whatever they want where ever they want. The lofts will be hip, historic spaces with the spaces stripped down to the bare brick walls, many still with original historic advertisements on them. Revitalization is clearly starting to kick in for the East Sprague corridor, which has plagued with drugs and prostitution issues for many years. The new Bennidito's Pizza & Brewery is now open for business there, and the new modern Sprague Union Terrace building is open for both apartment and commercial uses. But, now yet another apartment building / complex is starting the planning process after meeting with the City of Spokane recently for a pre-development conference . Because of this, it's too early to tell when this new building will be built or even if it will be. However, the building owner is Community Frameworks, who has a good record of building positive housing developments. In fact, Community Frameworks is also building another new project, north of Downtown Spokane, called 315 West. No name has been set for the new project on Sprague, which will rise on the current site of Car Connection used car lot, corner of Sprague Ave. & Madelia St. The plan calls for 36 apartments to be built in a few buildings, all within the first block of Madelia south of Sprague. The corner of Sprague & Madelia itself, where the car lot office is today will become the highlight of the development with a new large three story apartment building. The lots directly south of the main apartment building will become two story townhomes facing Madelia and 1st Ave. with exception of one small townhome building being accessed via the alleyway there. The plan also calls for a parking lot and play area to be by the townhome portion of the project. More parking will also be the main building as well. The apartment's plans currently call for a total of 36 apartments and no commercial / office space. Apartments are to be of varying sizes and floor plans, with 1, 2 and 3 bedroom apartments all included in the plans. The fifth location of the Utah based Maverik gas station chain officially opens for business today, Dec. 9th. 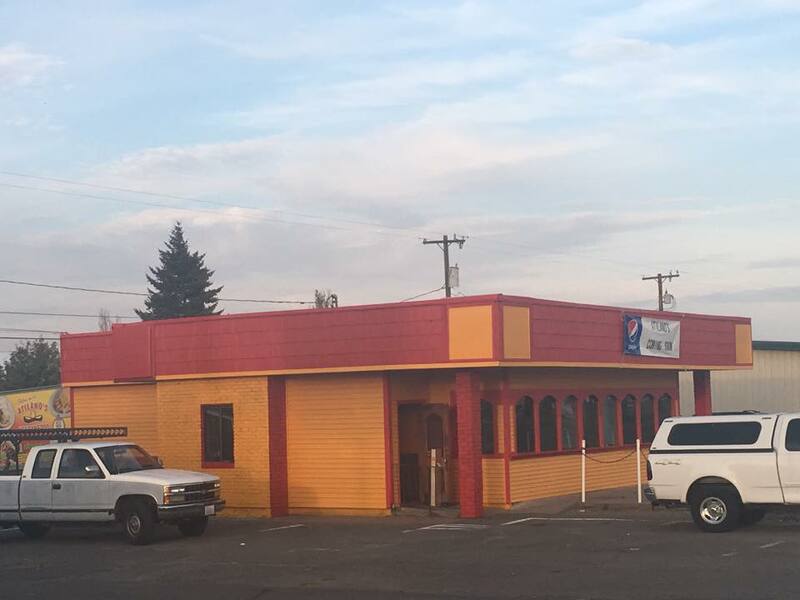 This new location is next to Rustlers Roost Restaurant on the Northwest side of the US 95 / Hayden Ave. intersection in the City of Hayden,ID. The new Maverik is like most other Maverik locations with a modern convenience store ( 4,250 square feet ) and multiple fuel pumps. 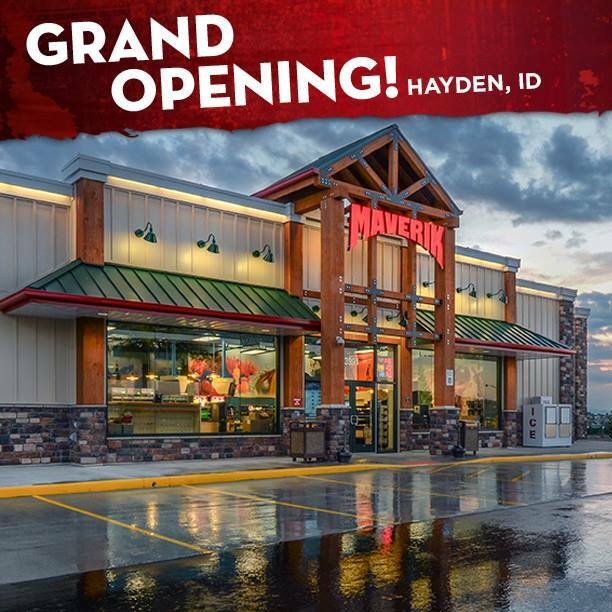 Maverik gas stations have also become known for their BonFire brand of hot, already prepared foods, which will also be offered at the new Hayden location. - Staff members available to sign people up for the Maverik branded credit card, saving 6 cents off fuel per gallon. This s currently the only Maverik gas station location planned in our area. Although locations in Coeur d' Alene, Spokane Valley, North Spokane and Cheney are still open and going strong. All Maverik locations are open 24 hours and only started opening in our area a few years ago. Note: In a previous post on this site I mentioned that the former Blockbuster Video storefront in Liberty Lake is being remodeled for Selkirk Pizza. Much of the info was correct, but it will actually by a sister restaurant of Selkirk Pizza, Fieldhouse Pizza & Tap House that will go in to the Liberty Lake spot. The space is about 5,000 square feet and is the north end cap space on the Liberty Lake Plaza shopping center, 1200 blk. of N. Liberty Lake Road . Remodeling work has been underway for a few weeks now, with an estimated opening date now being sometime in Jan. 2016 . 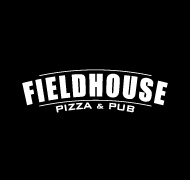 The new Fieldhouse Pizza & Tap House will employ about 20 -25 people. And, the original Fieldhouse location , at 4423 W. Wellesley Ave in Spokane will still remaining open for business, even after the Liberty Lake location opens. The Liberty Lake Fieldhouse Pizza & Tap House will be similar to the location in Spokane. The location will have a bar with full service and a restaurant area with limited service to be family / team friendly. A small game room and a banquet room able to approximately 25 will also be offered. The bar area will be a full bar, in addition to offering various rotating regional craft beers on tap and a nice sized wine selection. Fieldhouse Pizza has a good sized menu of specialty pizzas, all of which are delicious , but it's not all the restaurant serves. The location on Wellesley ( and we assume the new one too ) serve a menu of pastas, salads, appetizers and great sandwiches. In addition to opening a second location of Fieldhouse Pizza, the owners also recently acquired to SS Beryl , a bit of landmark seafood restaurant in North Spokane. The new owners have made some minor changes to that establishment, like doing updates to the kitchen, restrooms and menu. The updates they hope will make for a much nicer dining experience. More updates are still coming to the SS Beryl , but it will remain open at it's current location , 6404 N. Wall St. The locally owned and operated small chain of pharmacy's known as Well Life Pharmacy is on the move. Well Life Pharmacy recently moved out of two of their small pharmacy locations inside Trading Co. Grocery Stores for new locations that are still in the same general area of the original location. Both locations still offer a full service pharmacy offering both brand name and generic prescriptions. But, also over the counter products, nutraceuticals , supplements and a new natural skin care line. These two stores are the only locations to relocate, but the small chain also operates locations in Liberty Lake and Bonners Ferry,ID . In fact, the location in Bonners Ferry also has a small café with espresso and snacks located inside. If you love to golf, you'll likely love this new business now open on the second floor of Spokane Valley Mall. Scarlett's Golf Experience is that business, and they offer a virtual golf experience that allows customers to play almost 100 different courses via multiple high def screens. The experience is ideal for golfers wanting to try the holes of a iconic golf course, or just wanting to play a round of golf while the weather outside is less then ideal. 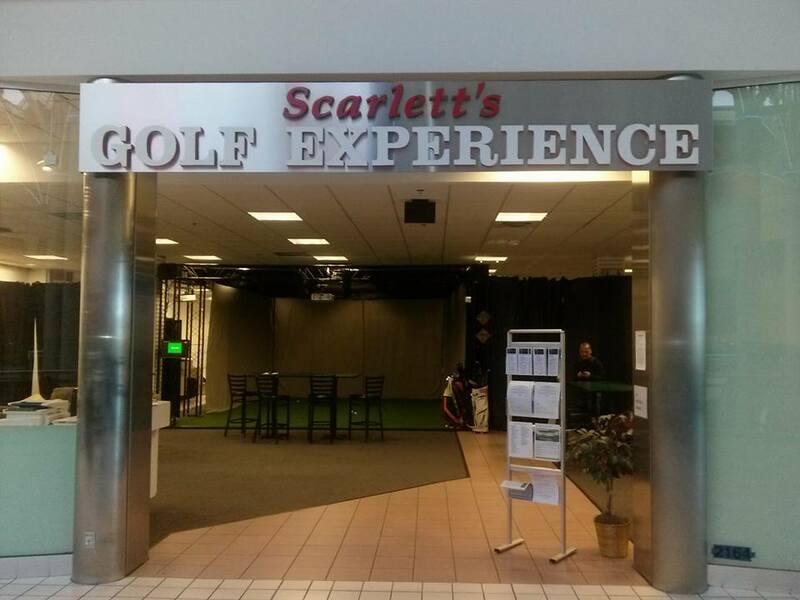 Scarlett's Golf Experience is located in the mall permanently in the former Deb Shop clothing store space. The space is on the second floor of the mall, next to Payless Shoe Source. This is actually Scarlett's second location as the business started a few months ago in a smaller space, next to Sports Authority in Coeur d' Alene's Silver Lake Mall. That location also remains open for business. You may know this businesses address ( 17905 E. Appleway, Spokane Valley ) as the home of Shele's Bargain Barn, a thrift store that was in the news not long ago. The store site, which is also the owners home, was at risk of foreclosure ( due to health issues ) and was saved via selling off the remaining merchandise and some other "donations". While it was saved, the business half of the site has gone to a new owner, who has now reopened it as a unique, locally owned and operated small business. The new business is a vendor mall consisting of over 30 different vendors, taking up 4,400 square feet of space. The store, which is now called Green Acres Vendor Mall has a bit of everything, in a clean and pleasant set up. Crafts, candles, jewelry, gifts and so much more can be found in every corner of the store. The building is also home to another new small business, a locally owned and operated used bike shop, called Dirty Peddlers Bicycle Co-Op Shop takes up a section of the site and offers a large selection of used bikes for all ages and uses. A great alterative to purchasing an expensive bicycle from one of the big box stores. But, while the new Green Acres Vendor Mall is a cool new business itself, the owners have big plans for the future. A coffee shop and bistro ( called Wake & Bake Coffee and 2 Phat Chix Sammies) are planned to open sometime next year and the space " out back " of the store will become a new flea market called River City Flea. A community garden space and food truck court are also among the incredibly exciting plans for the site, which is convenient to both Spokane Valley and Liberty Lake.